Melt the butter and marshmallows in a pot. Once they've melted, add the cereal. Grease a baking dish and add the mixture. Apply pressure to the mixture with a fork or spatula to be sure the cereal sticks well. Let cool until it hardens and then cut into bars. Use you favorite cereals like Cheerios™, Lucky Charms™ or Fiber One™. 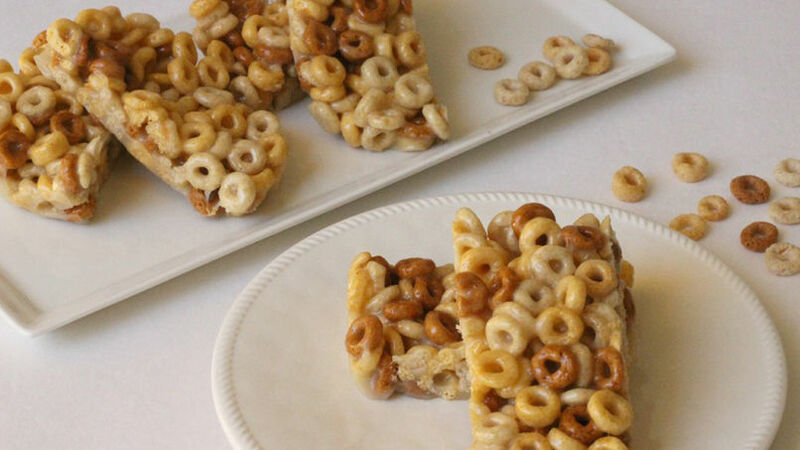 These bars are a different way to enjoy cereal. I remember that my mom would prepare them as dessert when I was little and I always made sure to behave so I was guaranteed to receive a treat. I recently remembered the recipe and didn't wait one second to get to work. In a little bit of time and just a few ingredients I was able to make my little one very happy, as well as save myself a bar to enjoy with tea. Using Multi Grain Cheerios™ removed the guilt; besides, we all deserve a little something sweet from time to time, right? I know you'll love this simple bar filled with amazing flavor!